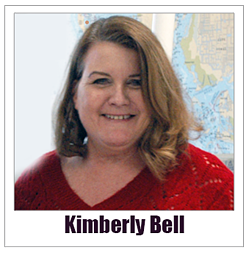 "We have been very pleased with the results of our radio advertising," says Kimberly Bell, who handles the marketing for Fix Marine Supply in Cape Coral. "It has been a very good investment for us." Florida has more recreational boats than any other state, according to the National Marine Manufacturers Association. Almost 21,000 of these pleasure craft are registered in Collier County alone. Eight years ago, John Fix started Fix Marine Supply at his dining room table in Cape Coral to try and grab a share of the $150,000,000 that is spent on boating related purchases in the county each year. The company specializes in boat lifts and supplies for both residential consumers and contractors. "The business started growing right away, primarily by word of mouth," says Ms. Bell. "Five years ago we moved to our first store on 47th street in Cape Coral. That's when we began to do more advertising." At first, Fix Marine Supply used hyper-local advertising to reach people in the Cape Coral area. "We bought ads in a local boating magazine, on bus benches, and on placemats in local restaurants. We even had a billboard by the Cape Coral bridge." Four years ago, the company began advertising on Fort Myers radio. Radio advertising is the best option for any SWFL small business interested in attracting boaters from Lee and Collier counties. 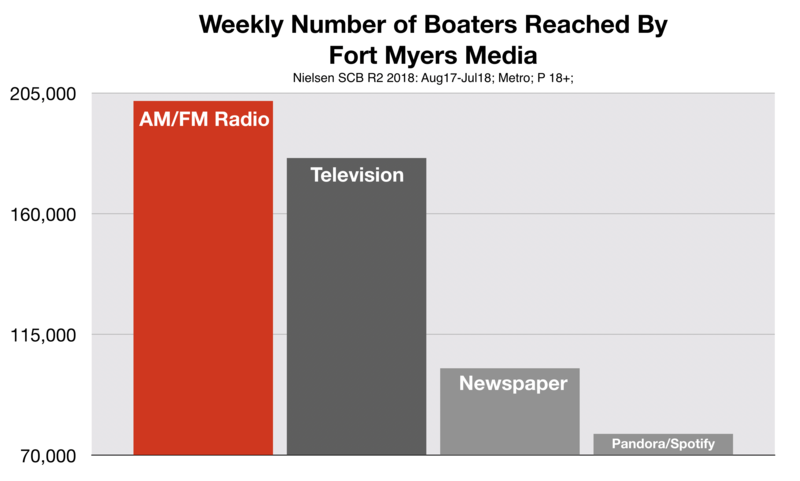 According to Nielsen, Fort Myers radio reaches 90% of local boaters every week. This is significantly higher than the number reached by local TV, local newspapers, or streaming audio sites like Pandora or Spotify. "After about a month," says Ms. Bell, "we began to see an increase in our store traffic. At first, it was primarily from the Cape Coral area. But then we started seeing customers coming from as far away as Port Charlotte and Punta Gorda. Advertising on Fort Myers radio really helped expand our sales area." Business at Fix Marine Supply expanded so successfully that the company moved into a much larger showroom on Cape Coral Parkway. 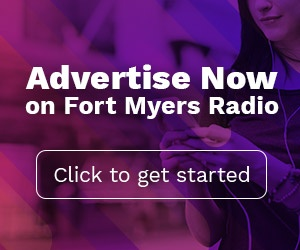 Advertising on Fort Myers radio continues to drive in new customers. "When people come in, we always ask how they learned about us. A lot of customers will say they heard us on the radio. That's how we know advertising on Fort Myers radio really works."